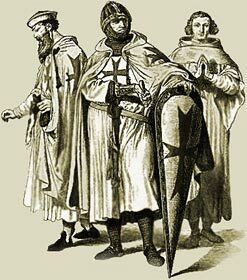 The other famous people of the era were the heroes and villains of the era who included Artists, Clerics, Crusaders, Diplomats, Religious Leaders, Military Leaders, Philosophers & Theologians, Physicians, Mathematicians, Writers & Poets and Reformers who featured in the turbulent times of the Middle Ages from 1066 - 1485. The following links provide access to short biographies, facts, dates, events and the history of all of these important and famous people of the Medieval times of the Middle Ages. The Biographies and Timelines of famous Medival people detail the key dates and events in their lives. Famous People in Medieval Times include great nobles, religious leaders, artists, scientists, military leaders, philosophers and religious reformers - the Medieval heroes and villains. Marco Polo - A short biography with key dates about the life story of this important Medival explorer who travelled to Cathay (China) Persia and Japan. The life story and his autobiography was called 'The Travels of Marco Polo' or 'Il Milione' provided inspiration for many other explorers including Christopher Columbus. Johann Gutenberg - A short biography with key dates about the life story of this important and famous Medieval figure who was famous as the inventor of the art of printing with movable types. Frederick Barbarossa - A short biography with key dates about the life story of this important figure who was famous for Fighting in the Third Crusade 1189 - 1192. Robert the Bruce - A short biography with key dates about the life story of this important and famous Medieval figure who was famous as the greatest Scottish King, the story of Robert the Bruce and the spider and his victory at the Battle of Bannockburn in 1314. William Wallace - Braveheart - A short biography with key dates about the life story of this important and famous Medieval man who was famous for leading a Scottish rebellion against King Edward I of England, a great Scottish hero. Thomas Becket - A short biography with key dates about the life story of this important and famous Medieval man who was famous as the Archbishop of Canterbury whose quarrels with King Henry II of England led to his murder in Canterbury Cathedral in 1170. Roger Bacon - A short biography with key dates about the life story of this important and famous Medieval figure who was famous as a scientist, inventor, philosopher and advocate of the modern scientific method. Jack Cade - A short biography with key dates about the life story of this important and famous Medieval figure who was famous for leading the peasants in the Kent rebellion of 1450. Lambert Simnel - A short biography with key dates about the life story of this important and famous Medieval figure who was famous as a pretender to the throne of England ruled by King Henry VII of England - The original claim was that he was Richard Duke of York ( one of the Princes in the Tower ) The major claim was that he was Edward, Earl of Warwick the son of George, Duke of Clarence. Perkin Warbeck - A short biography with key dates about the life story of this important and famous Medieval figure who was famous as a pretender to the English throne, assuming the identity of Richard Duke of York (one of the Princes in the Tower) during the reign of King Henry VII of England. El Cid - A short biography with key dates about the life story of this important and famous Medieval figure who was famous as one of the greatest heroes of Spain. Tamerlane - A short biography with key dates about the life story of this important and famous Medieval figure who was famous as the Mongul Conqueror who restored the Mongol Empire established by Genghis Khan. William Tell - The legend of this important figure who was famous as the National hero of Switzerland. His legend tells how he shot an apple from the head of his son. Boccaccio - The short biography of this important and famous Medieval figure who was famous as a Medieval Italian writer and one of the founders of the Renaissance. The Medieval Life and Times website provides interesting facts, history and information about famous people and important events in history which scatter the History books. The Sitemap provides full details of all of the information and facts about the fascinating subject of the lives of the Famous People in Medieval Times who lived during the historical period of the Middle Ages. The content of these articles on famous Medival people provide free educational details, facts and information for reference and research for schools, colleges and homework for history courses and history coursework.